Ephestia and Plodia are a group of closely related species which are serious pests of stored products throughout the world. 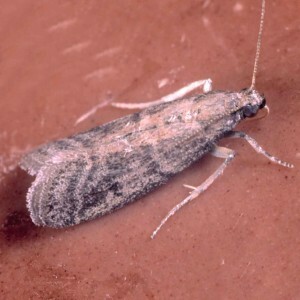 The larvae will feed on all food products commonly found in kitchen cupboards. For example, dried fruit, powdered milk, cornmeal, flour, pasta, rice, nuts, chocolate, seeds, crackers, dog food and cat food. The larvae leave large amounts of webbing over feeding surfaces. Designed by Dynamic Process Logic Consultancy | Copyright © 2016 Agrisense - All rights reserved.